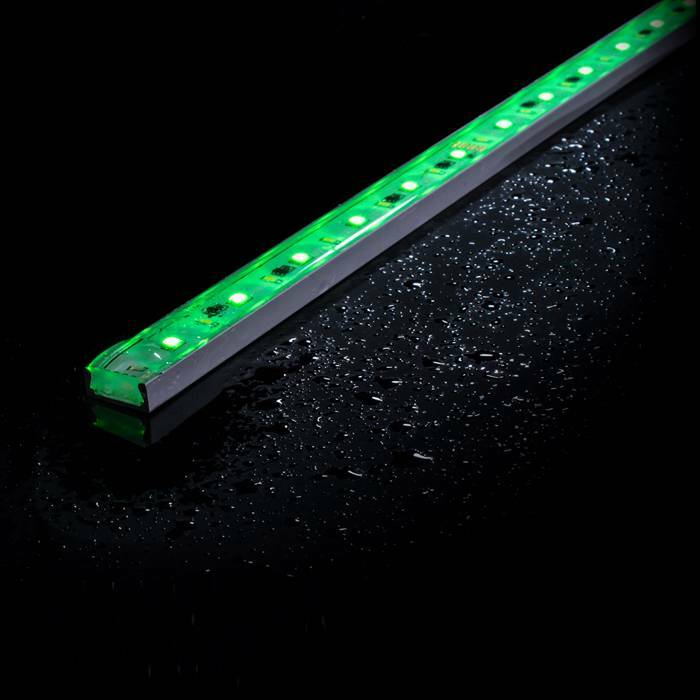 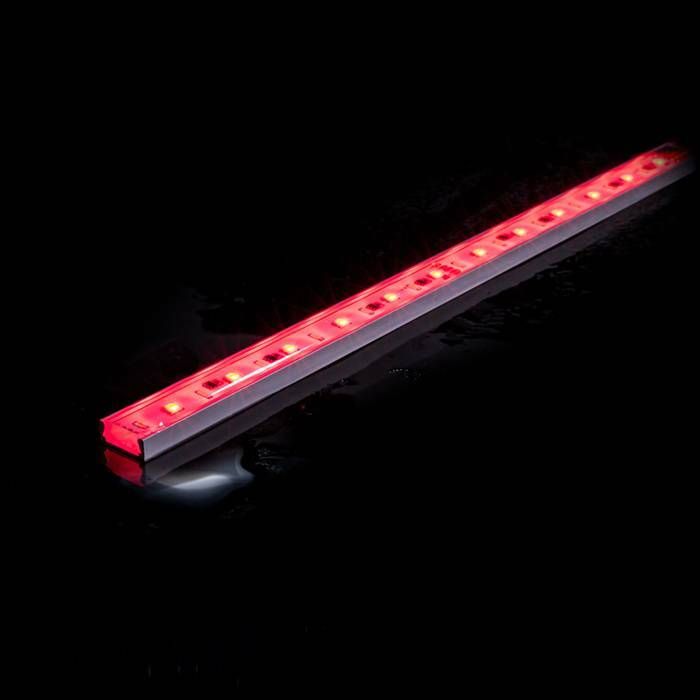 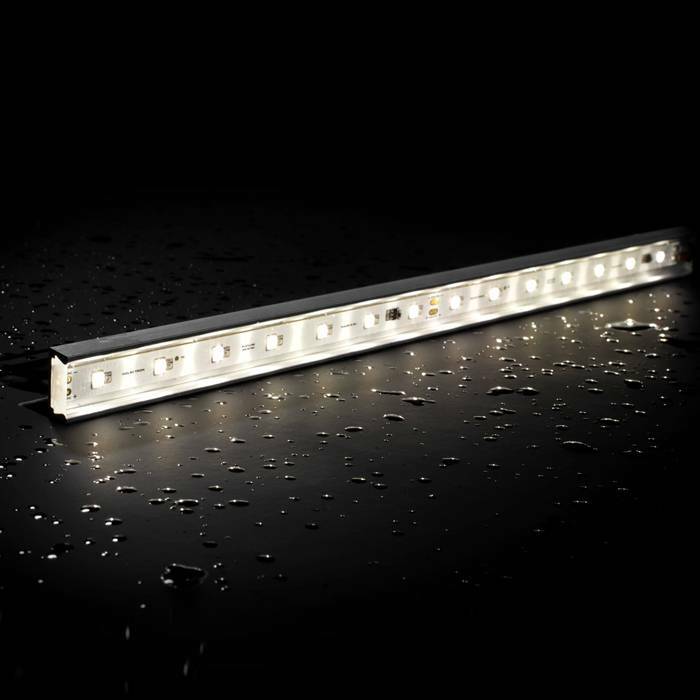 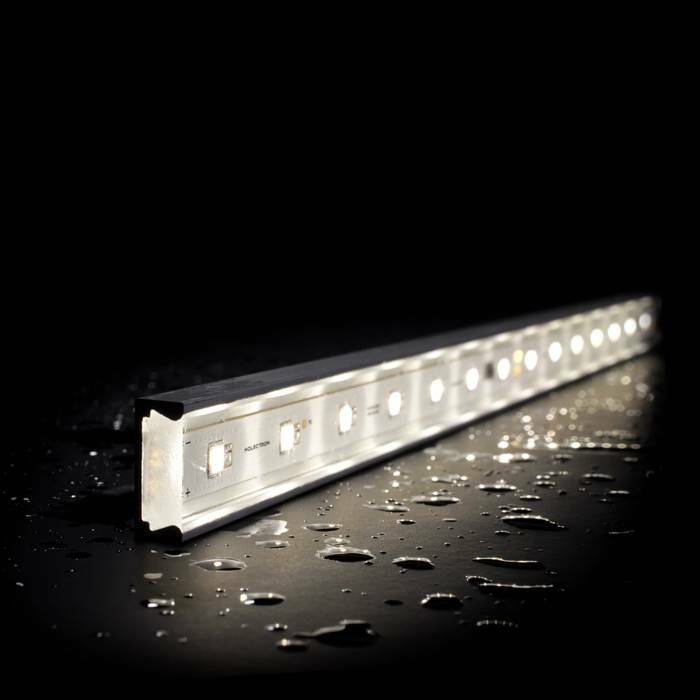 OUTLINE is a non-flexible water resistant linear LED lights contain 56 NICHIA LEDs per single meter and its power is 23.0 W/m. 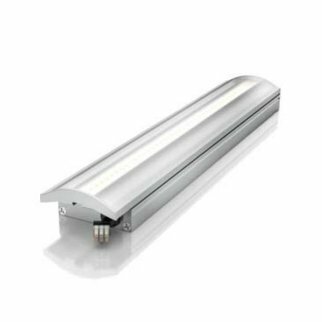 These IP67 fully water resistant NICHIA LED lights are designed for long-term professional lighting applications and perfectly suit for outdoor LED linear decorative, cove lighting, edge lighting, and many more applications. 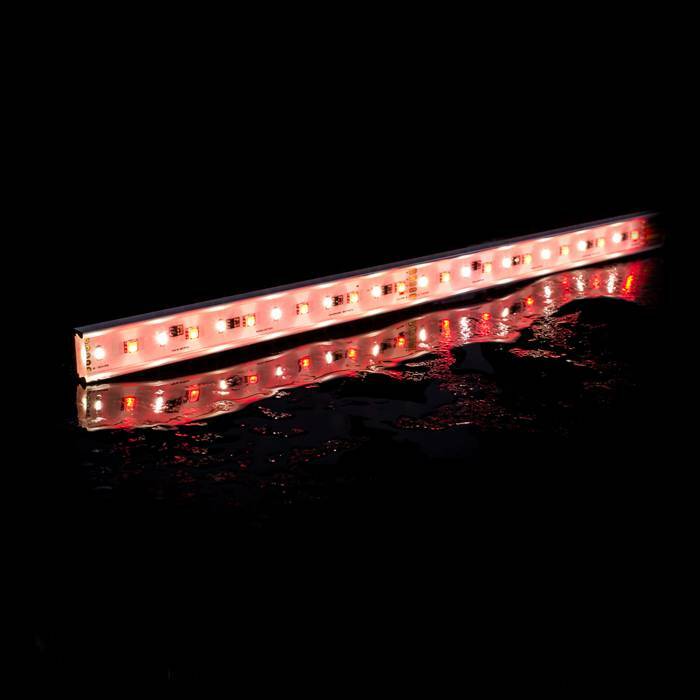 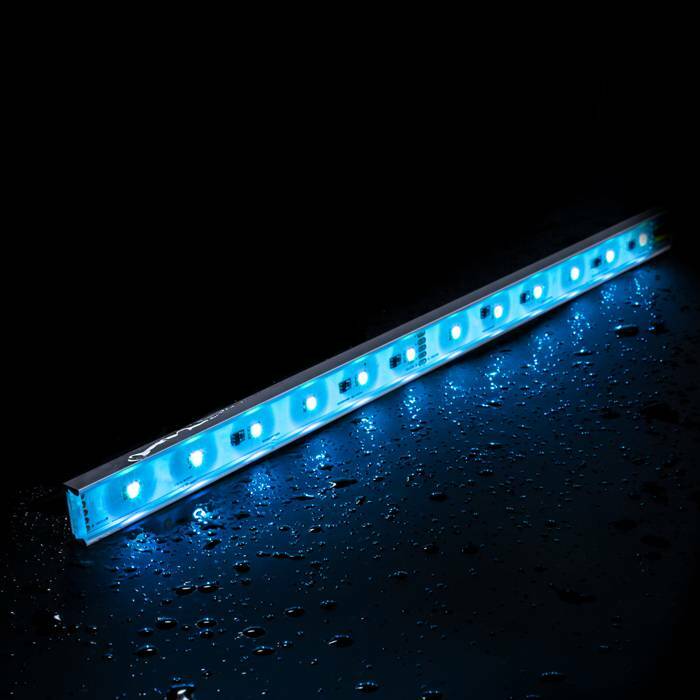 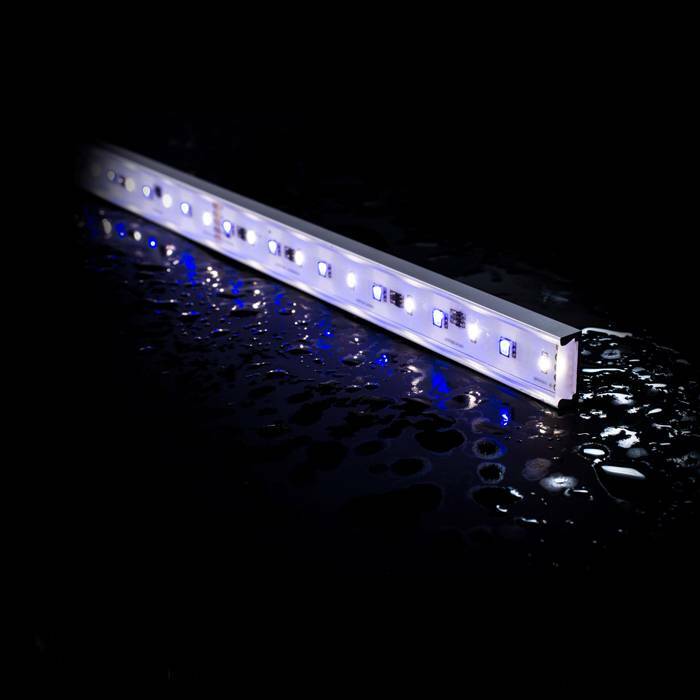 To produce our fully water-resistant IP67 linear LED strip lights we use the highest quality materials, NICHIA LEDs and current stabilization system inside. 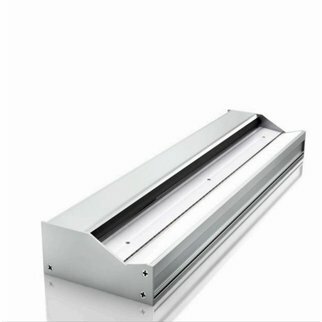 Encapsulated aluminum housing does not attract dust and dirt, it’s easy to clean and fully UV resistant. 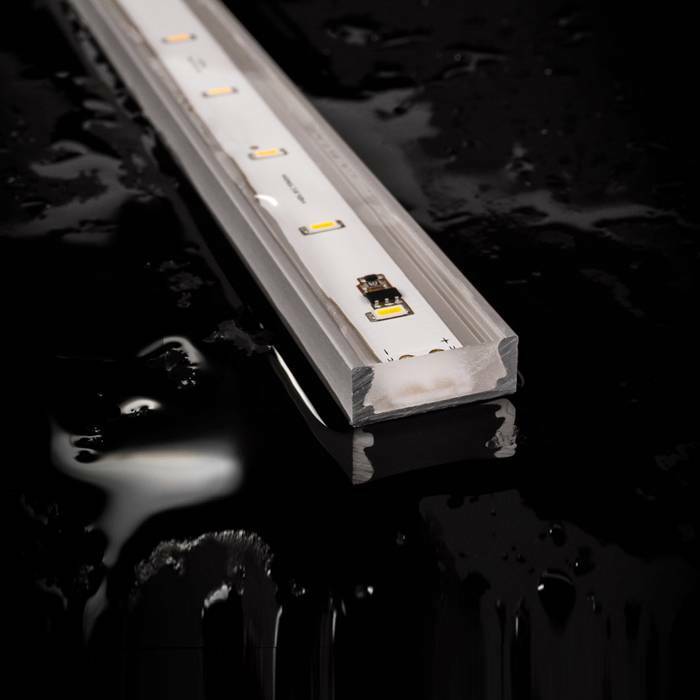 All of the white color 2000K-6500K range have a high color rendering index (CRI) rate which is Ra80+ or Ra90+. 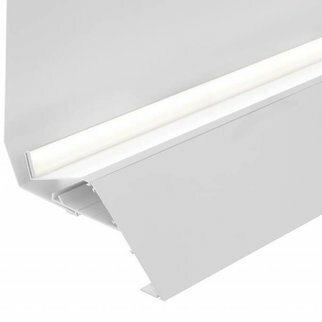 It guarantees highest lighting quality level. 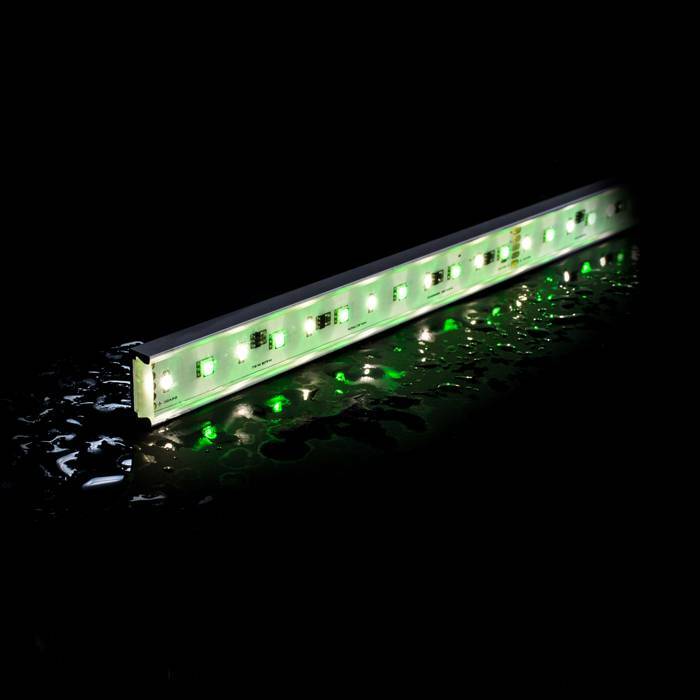 These outdoor IP67 NICHIA non-flexible LED strip lights are available with 3 Step MacAdam or Single Bin LEDs.